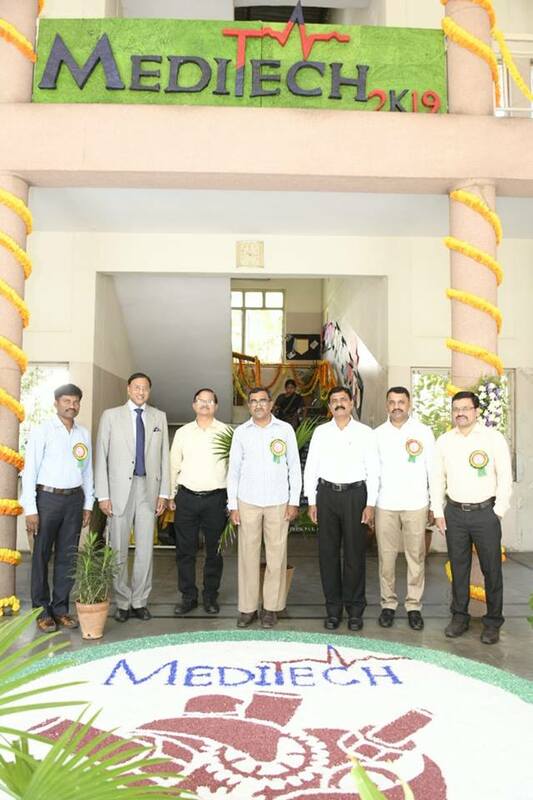 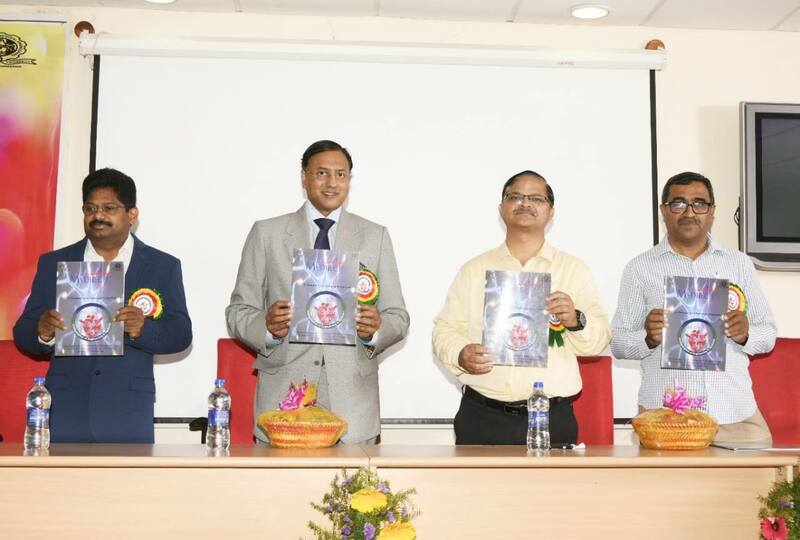 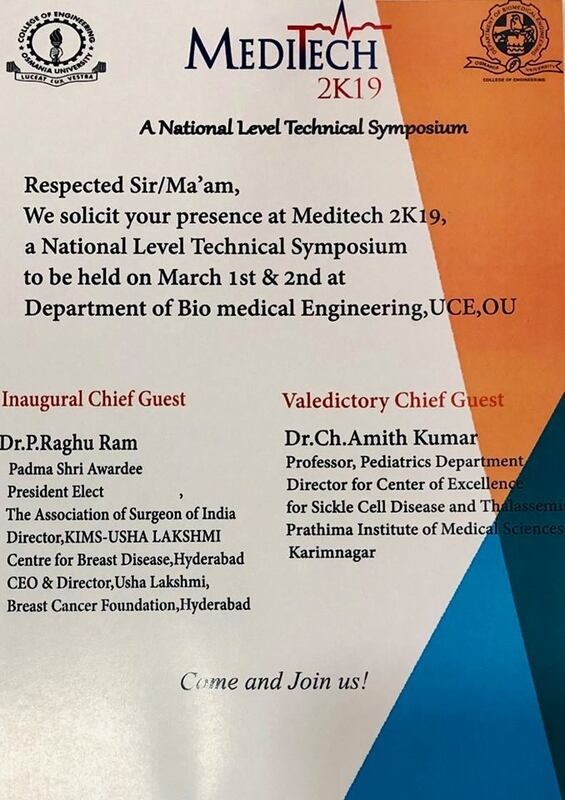 Dr. P. Raghu Ram was invited as Chief Guest to inaugurate MEDITECH 2019, a National symposium organised by Biomedical Engineering Division in Osmania University on 1srt March 2019. 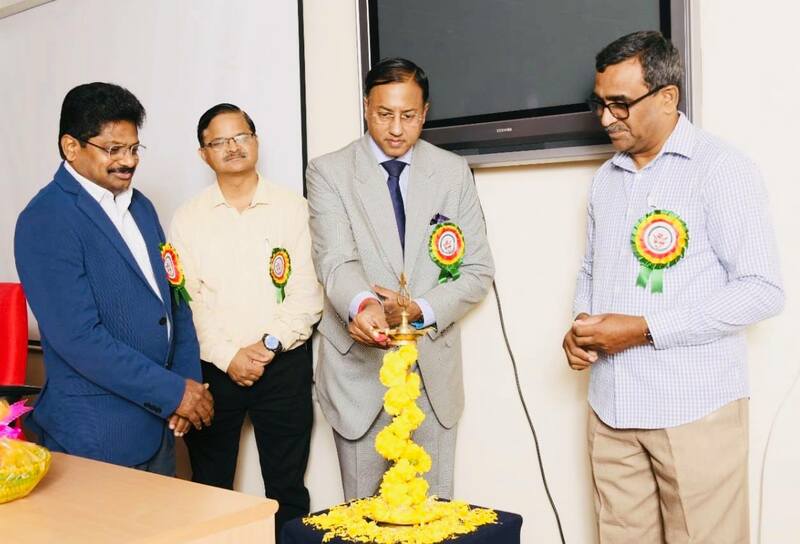 Osmania University is the very first University in the Country to introduce Biomedical Engineering at Undergraduate level. 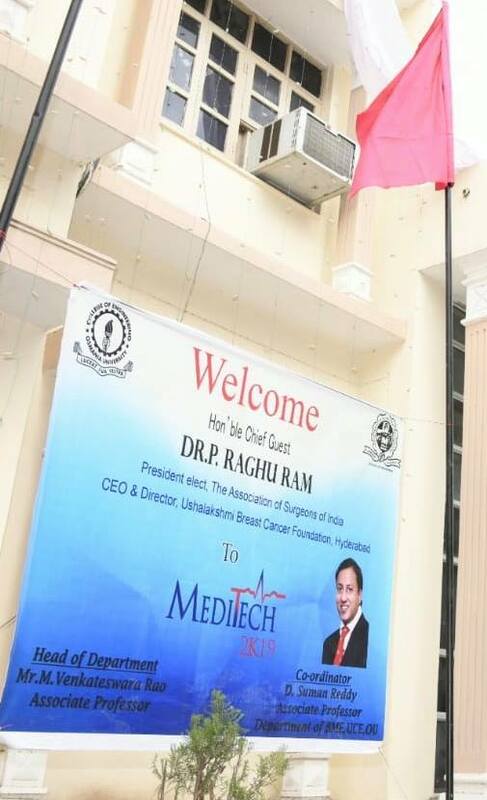 Dr Raghu Ram emphasised how important a platform this is to explore, analyse, develop & implement ideas and solutions through integrating Engineering & Medicine. 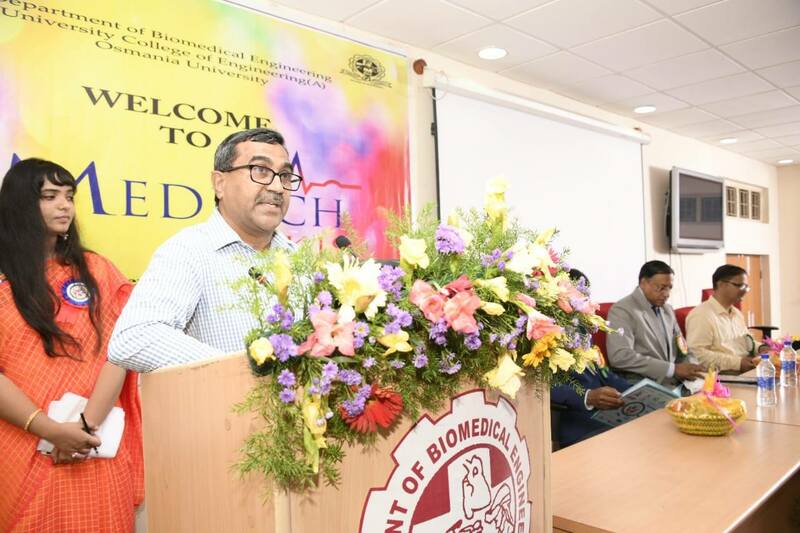 Whilst addressing the gathering, Dr. Raghu Ram said "We have had the agricultural revolution...and then industrial revolution..and now, we have the ‘technology revolution. 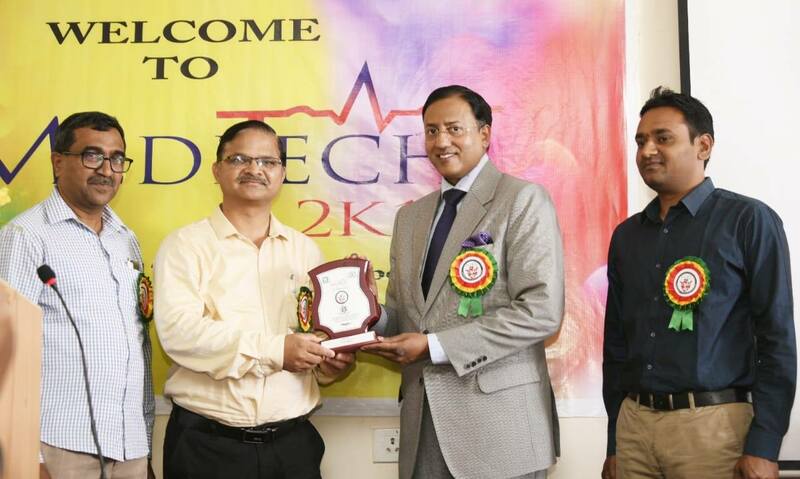 Meditech 2019 is part of the technology revolution. 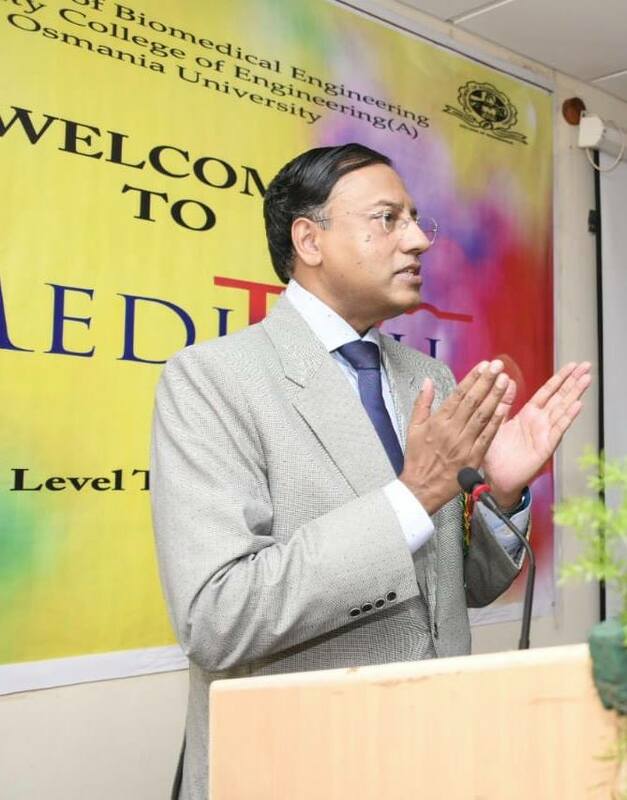 It is going to be exciting, since it will define what technology can do to ensure affordable healthcare in our nation."